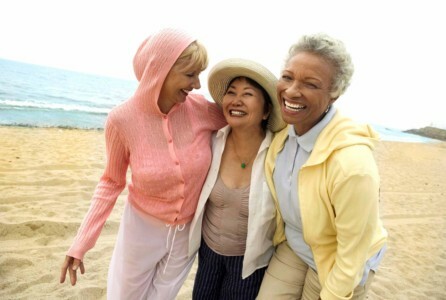 However, women with risk factors for heart disease need to begin to take the disease seriously much earlier in life. Kurrelmeyer said women need to be frank with their doctors about a family history, especially if a family member died of the disease at a young age. She adds these women should also have their blood pressure, fasting blood glucose and cholesterol monitored regularly, develop an exercise and nutrition plan and stop smoking. By age 50, they should begin to see a cardiologist. The survey also showed that only 22 percent of primary care physicians felt prepared to assess a woman’s risk for heart disease. Kurrelmeyer said if a doctor is not comfortable, ask to be referred to a cardiologist. ❤️ Extreme weakness, anxiety or shortness of breath. ❤️ Discomfort, pressure, heaviness or pain in the chest, arm, below the breastbone or in the middle of the back. ❤️ Sweating, nausea, vomiting, dizziness. ❤️ Fullness, indigestion, a tightness in the throat area. ❤️ Rapid or irregular heartbeats.